Associate professor at DIT, University of Athens. On leave from CNRS, LIX, École Polytechnique. 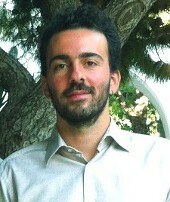 Member of the Inria team Comète. My main areas of research are security & privacy, in particular quantitative information flow, location privacy and differential privacy, as well as probabilistic verification and concurrency. F-BLEAU will appear at S&P 2019. Our book on Quantitative Information Flow is coming out soon! Contact me if you're interested. I'm serving as Program Chair/Co-Editor-in-Chief of PETS/PoPETS for 2019 and 2020. I'll give a keynote talk at QEST/CONFESTA 2018. QEST 2018: 15th International Conference on Quantitative Evaluation of SysTems. Invited speaker. HotSpot 2018: 6th Workshop on Hot Issues in Security Principles and Trust. PC member. BMDA 2018: Workshop on Big Mobility Data Analytics. PC member. QAPL 2018: International Workshop on Quantitative Aspects of Programming Languages and Systems. PC member. ICDE 2017: IEEE International Conference on Data Engineering. PC member. CSF 2017: 30th IEEE Computer Security Foundations Symposium. PC member. BIGQP 2017: International Workshop on Big Geo Data Quality and Privacy (co-located with EDBT/ICDT'17). Invited speaker and PC member. POST 2017: 6th International Conference on Principles of Security and Trust. PC member. APVP 2017: 8ème Atelier sur la Protection de la Vie Privée. PC member.